"Here are the tools I use everyday in my shop. If you link from my site to Amazon I get a bit of coffee money, not enough for the espresso machine." 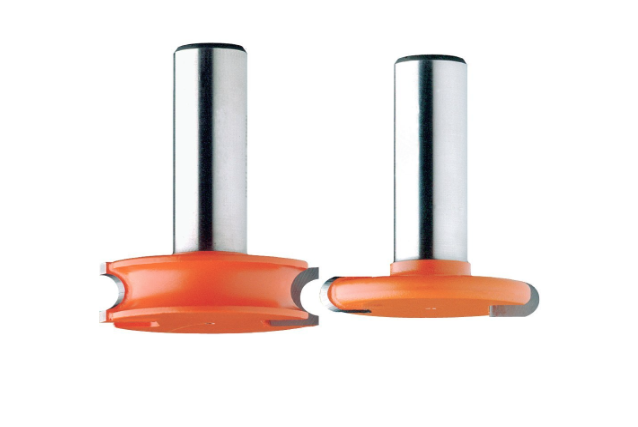 Flute & Bead Router Bits , These bits add the cove and bead to your wooden strips. I prefer 1/2″ shank bits since they are stiffer and less prone to flex but in reality this 1/4″ Set and a laminate trimmer is all you need. Amana Tool's 1/2" bits are currently on sale and are the same quality as the CMT bits above. A Spokeshave is the main tool used to shape and smooth the rails. A block plane is great to use for the middle of the board but the spokeshave is best for complex curves near the nose and tail. You can buy an expensive model if you like but all that is required is a sharp blade and a handle. 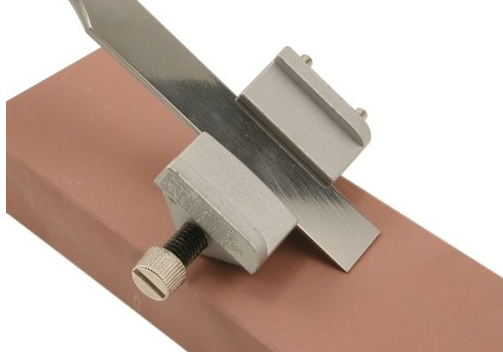 A Honing Guide is the best way to get a really sharp edge on your hand tools. This is a $12 tool that holds the blade at the perfect angle and some wet/dry sandpaper is all you need to go with it. Here is a link to getting your tools scary-sharp! Stanley No.9-1/2 Block Plane - There are three planes that I use frequently when building boards. 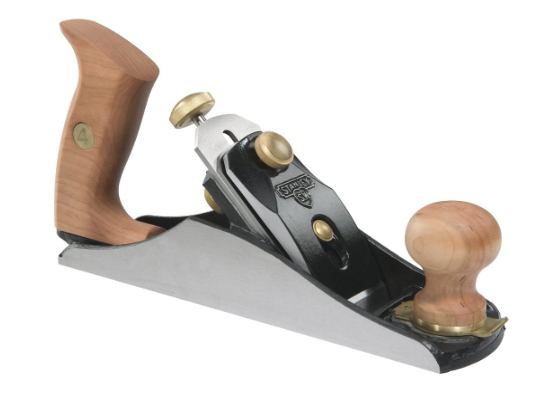 Stanley has recently re-released their original planes that have been favourites of many woodworkers for generations. You can buy cheaper planes but you get what you pay for. This first plane is all you really require but the next two also come in handy. Stanley No. 4 Bench Plane - This plane is probably the most common plane Stanley ever made. Ask your grandfather and he will probably have one you can borrow. This is the plane you will want to use to flatten the top and bottom skins. A Stanley No.60-1/2 Low Angle Block Plane comes in handy in spots were there is difficult grain to deal with or you just want to make an adjustment to a cove & bead strip. (This can also be done with a razor.) Consider this a luxury item since you can also use sand paper if you are experiencing tear-out. 10-Inch Straight Drawknife This is a good tool for hogging off the bulk of the extra material after you glue down the top deck. It is very fast for this job but it is a 1-trick pony (unless you want to build a log home to store your board). 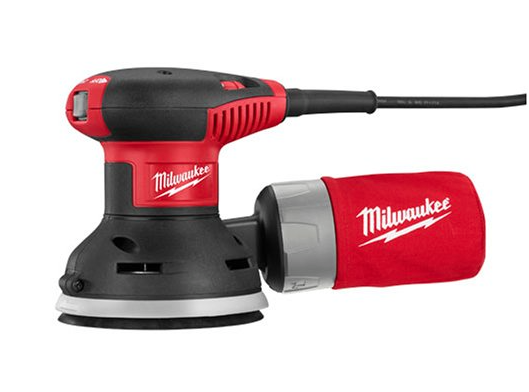 I am currently using a Milwaukee variable speed sander in the shop. I promised myself a long time ago I would replace my old Dewalt with a Mirka because it has a lower centre of gravity and much better dust collection. Unfortunately, when the Dewalt finally died I was swamped with orders and couldn't wait for a Mirka to arrive. The Milwaukee was the best sander I could buy locally and I am very happy with the variable speed feature. 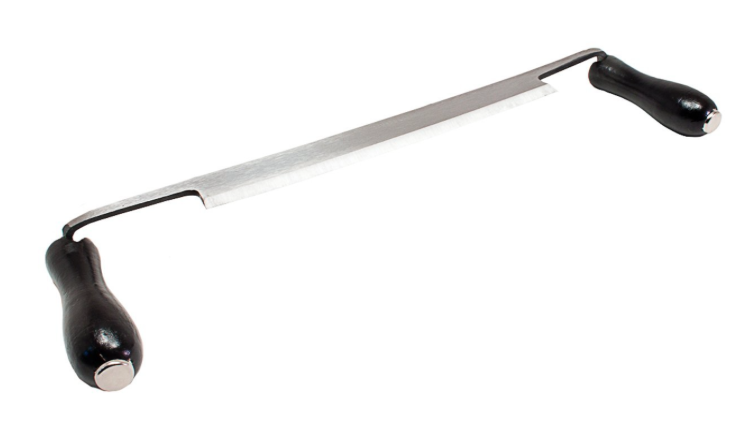 RAZOR Saw ZA Type 306 If you have never used a Japanese "pull" saw you really have to try one. The blades are super thin, crazy sharp and easy to control. 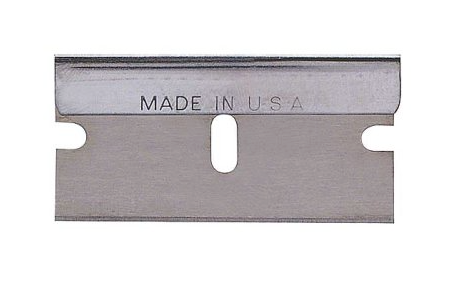 The saw cuts on the pull stroke eliminating that blade wobble effect that you get with saws from North America. I have three Japanese saws in my shop and haven't ever wanted to use a North American saw since. This is a saw with the finest teeth and has a stiffening backbone supporting the razor-blade thin kerf. The teeth on this saw also wrap around the nose allowing me to do plunge cuts for handles, finbox's, etc. This SUPERHARD Razor Saw has slightly more aggressive teeth and a slightly wider kerf than the saw above. The teeth on this saw stop short of the nose allowing it to rub against a surfaces without cutting them. The biggest difference is the lack of a spine allowing for deeper cuts. Woodworking Chisels - A chisel is one of those tools that you don't use that often but when you do they have to be really sharp to work properly. 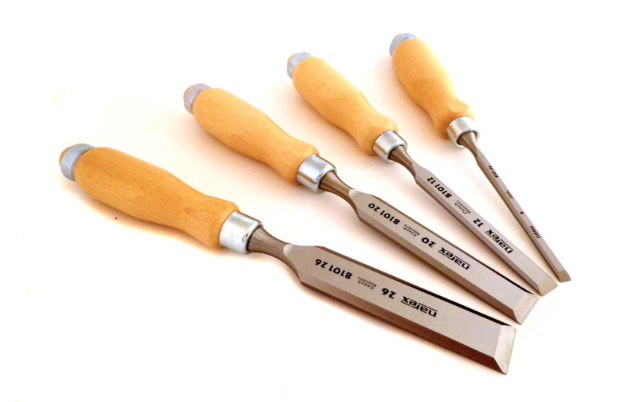 These chisels are made by a small tool manufacturer in the Czech Republic and are of exceptional quality for the price. 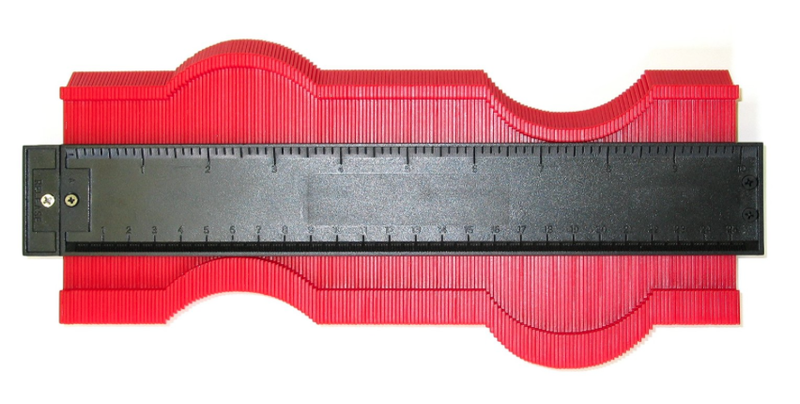 A 10-Inch Contour Gauge comes in handy making sure your rails are symmetrical. 2" Spring Clamps are the hardest working clamp in the shop. The larger clamps are a nice luxury but it would be hard to start the rails without some of these clamps that are operated with only one hand. I alternate these clamps with the 4" drainage clamps on the rails. They will come in handy during almost every step of building hollow wooden boards. 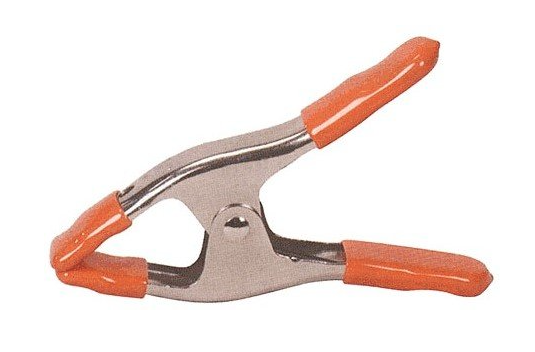 Home Depot sells their HDX 2" version of this clamp for $1 each. 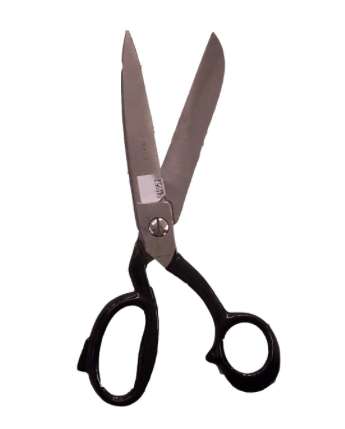 Industrial grade Shears - Here is another handy thing to look for at a garage sale or in your grandma's sewing kit. Big old school scissors are the best choice for trimming fibreglass. 4" Chip Brush - Cleaning epoxy off a brush is a pain. 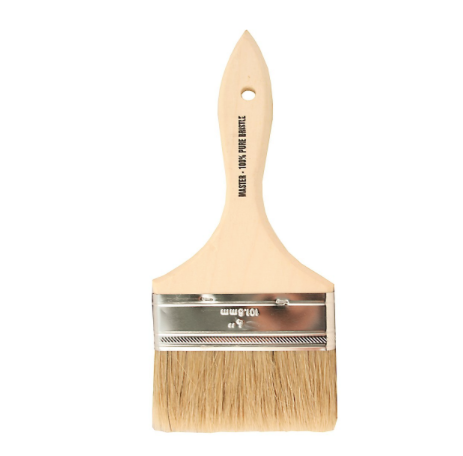 These chip brushes are disposable and are a solid choice for the fill and gloss coats of epoxy. You will need 4 in total. Razor Blades - These disposable blades are the tool of choice for trimming the fibreglass after it has gelled.